Mini machines offer compact, lighweight and cheap ways to exercise. 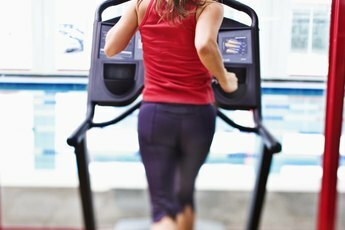 A few years back, throngs of portable cardio machines, such as mini ellipticals and mini steppers, hit the market. This was on the heels of research findings exposing the dangers of sedentary living. One BMJ meta-analysis of 167,000 people found those who sat three hours or more daily chopped two years off their lifespan, even if they were physically active and didn't smoke. 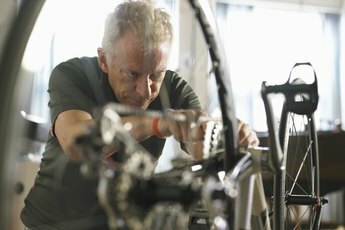 Enter pedal-while-you-work machines. This compact exercise equipment is lightweight, easy to pack-and-carry and costs heaps less than gym memberships. While they don’t offer the adrenaline-pumping high-impact workouts die-hard fitness enthusiasts crave, these minis will get your heart pumping, tone muscle and burn a few calories. This on-the-floor machine, costing between $60 and $100, has two pedals you slip your feet onto to move up and down and attachable resistance ropes. “This piece of equipment limits the range of motion of the lower extremities and allows you to simulate the motion of climbing small stairs in a low-impact way,” says Certified Strength and Condition Specialist Travis Steffen, who created WorkoutBox.com. A frequent complaint according to Consumer Research -- which did not also review mini ellipticals -- is that these machines fall apart easily and are cheaply made. Also with no ability to adjust resistance, users say it is hard to vary workouts. (see reference 3) Some varieties have pedals that slide from side to side, as well, and post on LCD screen steps take and calories burned. This machine, also on-the-floor is a portable version of the full-size machine and works similarly to the stepper in that you put your feet on the pedals and start push. The movement simulated here though is a more rotary style movement that is easier on the joints and is the better option for those with arthritis. It also offers a low-impact aerobic exercise. Both machines can give you a low-impact aerobic workout that can raise your heart rate, improve circulation by getting more blood pumping through the body, tone muscles and even have you working up a bit of a seat to lop off some pounds. Both machines can be used while sitting down or while standing. "If you're in a situation where you are stuck sedentary many hours of the day, this equipment is definitely preferable to nothing in terms of keeping the body moving," says Steffen. "The caloric burn you'll see from both will be minimal, but sometimes it only takes burning a hundred or so more calories to push you over the edge to begin seeing some progress." The main difference between the two is that the elliptical offers a slightly more gentle, more constant movement that can be a tad easier on the knees. What Is a Mountain Climber Pullup? 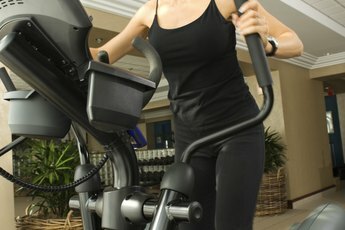 Elliptical Machines: Speed or Resistance?